Public Enemies is a 2009 American biographical mob drama film directed by Michael Mann. Set during the Great Depression, the film chronicles the final years of the notorious bank robber John Dillinger as he is pursued by FBI agent Melvin Purvis. The film title in the poster features an industrial sans serif, which is New Deal designed by Neville Brody for the film. The commissioned type­face was inspired by the 1930’s era typog­ra­phy but with a mod­ern edge and it is not available for the public. 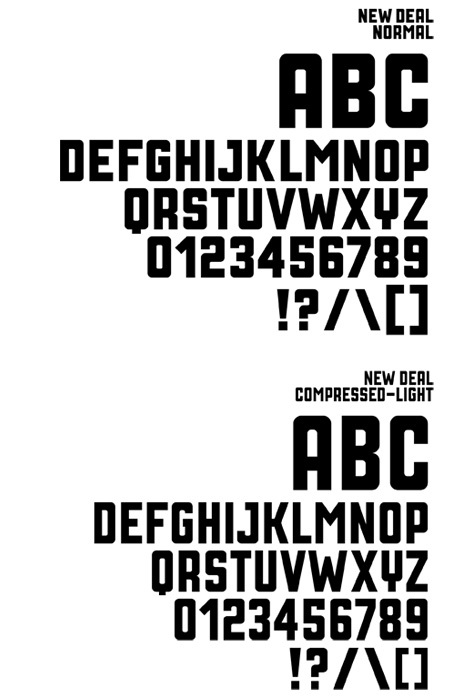 Some fonts with a similar square and industrial look are Gaz Heavy designed by Ray Larabie, CA Traktor from Cape Arcona and Agency Black from Font Bureau. The New Deal font identified above is not available for free, please follow the link above and purchase the font. Meanwhile, you can take a look at our collection of fonts for cars, pop music and apparel as well as round-ups of new & fresh fonts around the web. 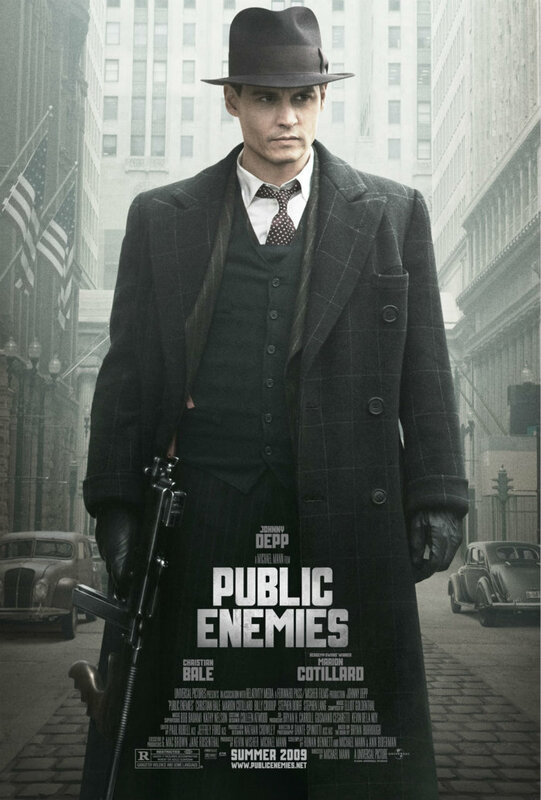 In addition to Public Enemies (Film), It seems we can’t find other examples (logos, movie posters, album covers etc.) of New Deal typeface in use.